29.03.2018: Abu Dhabi Desert Challenge 2018 – Round 3, FIA Cross Country Rally World Cup . Jakub ‘Kuba’ Przygonski and co-driver Tom Colsoul in a MINI John Cooper Works Rally secure second place result. Abu Dhabi Desert Challenge 2018 – Round 3, FIA Cross Country Rally World Cup . Jakub ‘Kuba’ Przygonski and co-driver Tom Colsoul in a MINI John Cooper Works Rally secure second place result. 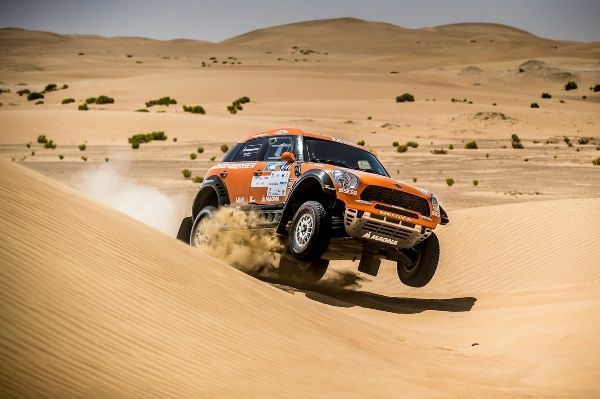 Three MINI crews complete Abu Dhabi Desert Challenge inside the top ten. 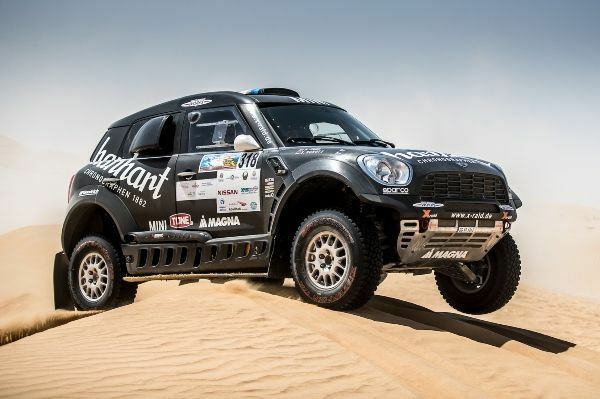 Luc Alphand’s long-awaited return to cross-country rally in a MINI John Cooper Works Buggy proves to be a successful decision. 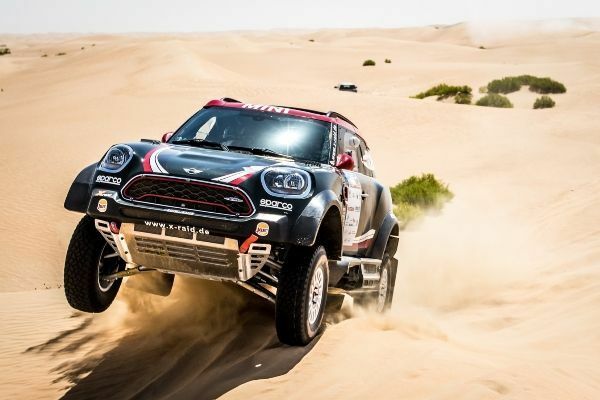 The Abu Dhabi Desert Challenge 2018 – the third round of the 2018 FIA Cross Country Rally World Cup – completed today with MINI figuring highly in the overall results. The highest place MINI Family crew was that of in-form Jakub ‘Kuba’ Przygonski (POL) and his regular co-driver Tom Colsoul (BEL). The dynamic duo finished second after 1,300 km of off-road special stages held over five days. Once again, the soft sands and high dunes proved to be tough going throughout race distance and were the undoing of several competitors. The other natural obstacle encountered for all competitors was the intense heat, which had many drivers falling victim to tiredness and heat sickness. Experience from international rallying – especially in the desert regions – paid dividends for the MINI Family crew of Stephan Schott (GER) and co-driver Paulo Fiúza (POR). Even though Schott is one of the senior drivers, his years of competitive know-how definitely helped him take his MINI ALL4 Racing to fifth overall, and the second highest placed MINI. Third MINI to complete inside the top ten was a MINI ALL4 Racing driven by long-distance rally newcomer Kris Rosenberger (AUT). His co-driver for the race was Nicola Bleicher (AUT). The pairing finished their first desert race together in eighth place. The fact the pair actually started the race was a result in itself because their MINI All4 Racing was one of three MINI racing vehicles that were delayed in customs, meaning their first experience of this iconic car was the start of Leg 1 – the race itself! As well as the delayed arrival of cars and the intense heat, another major talking point was the return of Luc Alphand (FRA) to competitive long-distance cross-country rally. 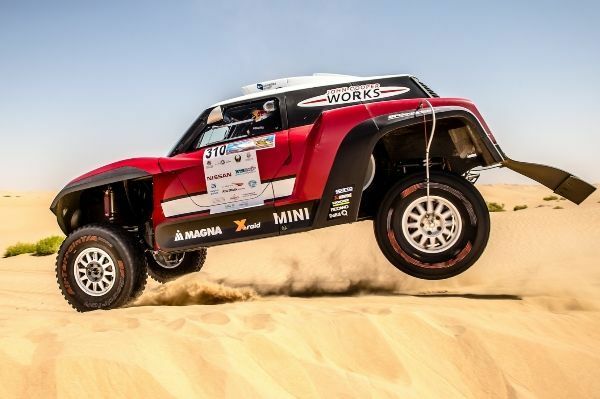 It has been many years since the former Dakar winner (2006) was side-lined by motorcycle injury from this exciting sport, but it didn’t take long for Alphand in a MINI John Cooper Works Buggy to show he has lost none of his competitive spirit and determination. Leg one saw the French driver cross the Yas Marina Circuit finish line as winner. Unfortunately, Alphand later received a two minute time penalty for a speed infringement, which meant he was knocked back one position to second place. Problems in the desert during Leg 2 resulted in lost time but there was no questioning Alphand’s determination and his efforts were soon rewarded with a win in Leg 3 and overall race finish position of 15th. Eugenio Amos (ITA), another first time MINI driver, was also a victim of cars being delayed at customs and he too faced his first taste of a MINI ALL4 Racing on the day of Leg 1. With co-driver Filipe Palmeiro (POR) beside the Italian, the pair concentrated on getting to know each other and the sporting dynamics of the MINI ALL4 Racing. The new pairing finished with a creditable 18th place. The MINI Family crew of Yazeed Al Rajhi (KSA) and Timo Gottschalk (GER) were also victims of late to arrive cars. 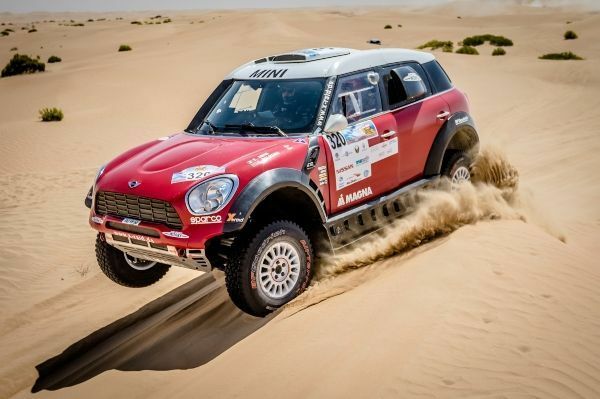 They started Leg 1 but that was as far as the pair and their MINI John Cooper Works Rally got before Al Rajhi had to retire from the race due to sickness. Jakub Przygonski: “Tom and I are really happy with the result of the Abu Dhabi Desert Challenge – second position is really good. It was possible for us to win the race but we got stuck at one point and lost some time. 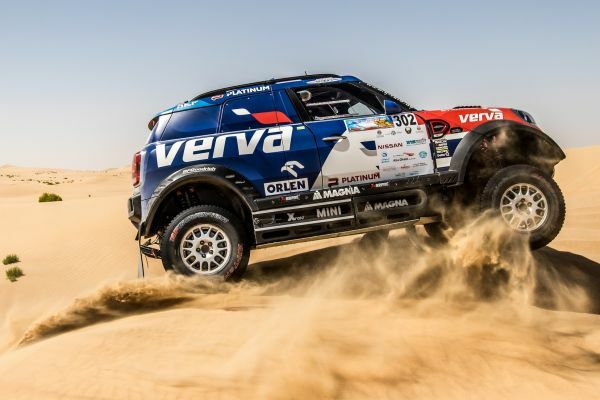 Stephan Schott: “It was quite a tough race; it was very, very hot and the sand was very soft and steep, but I’m absolutely happy with the car and the way it performed. The X-raid team did an amazing job of preparing the car for the challenge, so we had absolutely no problems; not one single, small issue to deal with throughout the whole race. Sven Quandt – CEO, X-raid: “This year’s Abu Dhabi Desert Challenge was not an easy rally because the sand was really soft. But it was a good one and we could show the potential of the MINI John Cooper Works Buggy – Luc did an excellent job.